A graceful ceremony of MoU signing between Air University (AU) and Macquarie University (MU), Sydney Australia was held at Air University main campus Islamabad on 8 Nov, 2018. Both the universities agreed to provide a framework of cooperation and to strengthen the mutual collaboration in future. Hon. 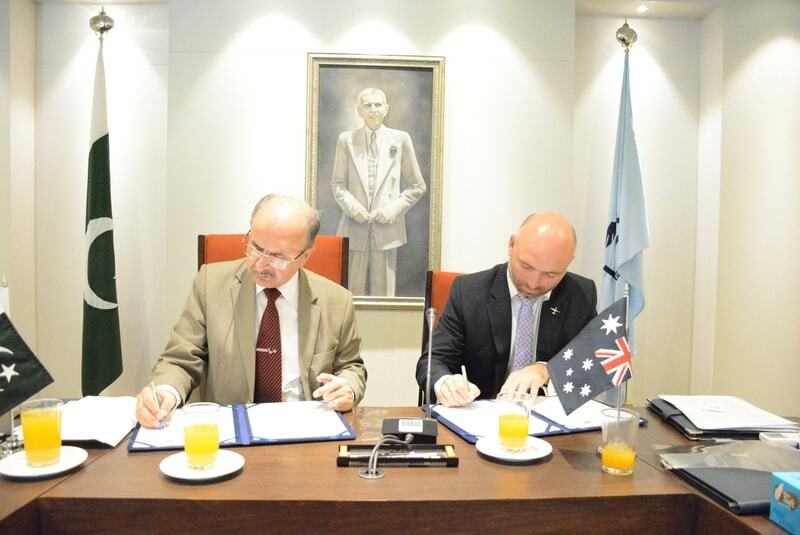 Mr. Brek Batley, acting High Commissioner, Australian High Commission Pakistan, Mr. David Harrison, Director International, Macquarie University and Dr. Ibraheem Haneef Director, International Cooperation Office, Air University witnessed the signing ceremony. Air Vice Marshal Faaiz Amir (R), Vice Chancellor, Air University and Ms. Nicole Brigg, Pro Vice-Chancellor (International), Macquarie University are the signatories of the MoU on behalf of both universities. 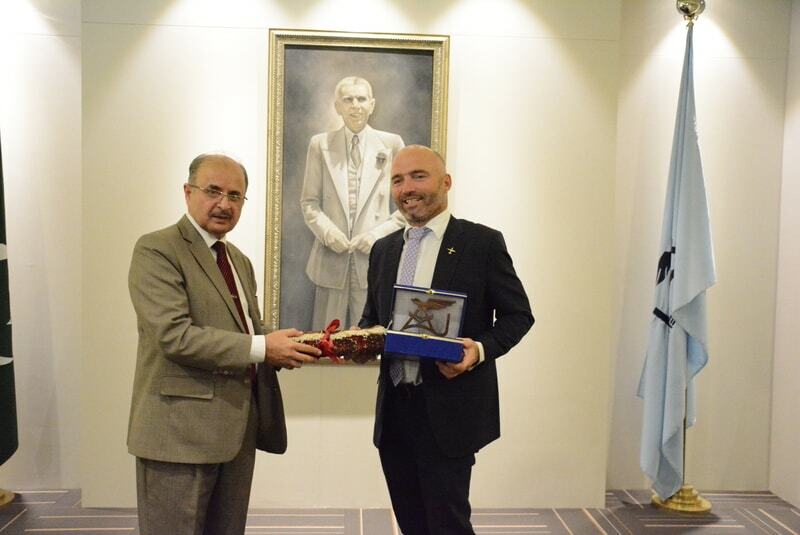 The memorandum mainly focuses to promote mutually beneficial cooperation and enhance relations between the two Universities by facilitating exchange of academic materials and information, conducting joint seminar and other academic meetings, organizing guest lectureships, study tour for students and staff, study abroad programs and exploring articulation arrangements. Air University is a renowned public sector university situated in Islamabad since 2002 and currently has a student body of over 4900 at its main campus, with two more campuses operating at City of Saint, Multan and Aviation City, Kamra. The University is offering 43+ degree programs at undergraduate, post-graduate and doctoral level. The Macquarie University is a research-intensive University and home to some of the world's most pre-eminent researchers situated in Sydney, Australia. Tanveer Shaheed, Regional Director of Macquarie University also stressed the point that being the one of the leading International Universities in the world, Macquarie University has a great deal to offer to Pakistani institutions and prospective students. This MoU will assist to continue the momentum of a deep and meaningful engagement for good cause of education. He said that Macquarie is a reputable University and famous for its services to international students. 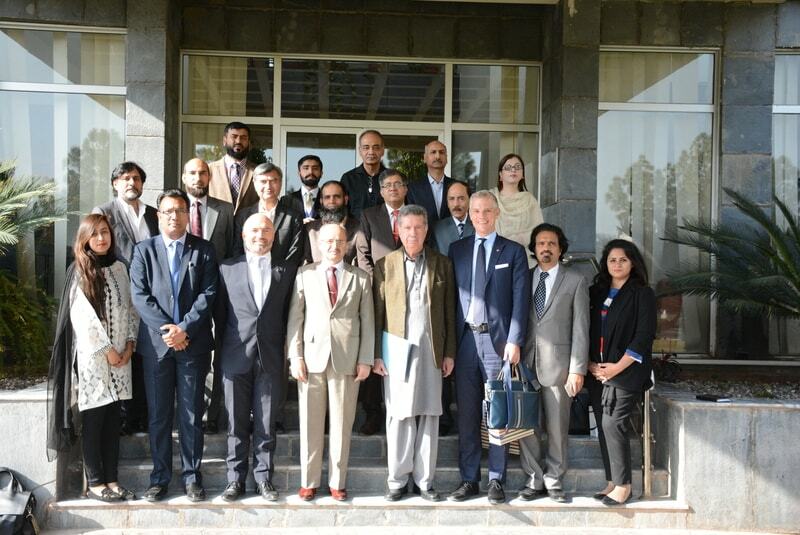 Their management with the support of Australian High Commission, Pakistan has identified the Pakistan as a key priority country. This MoU portrays the importance of building the bilateral relationship between these two countries with a focus on mutually beneficial outcomes in the higher education sector. 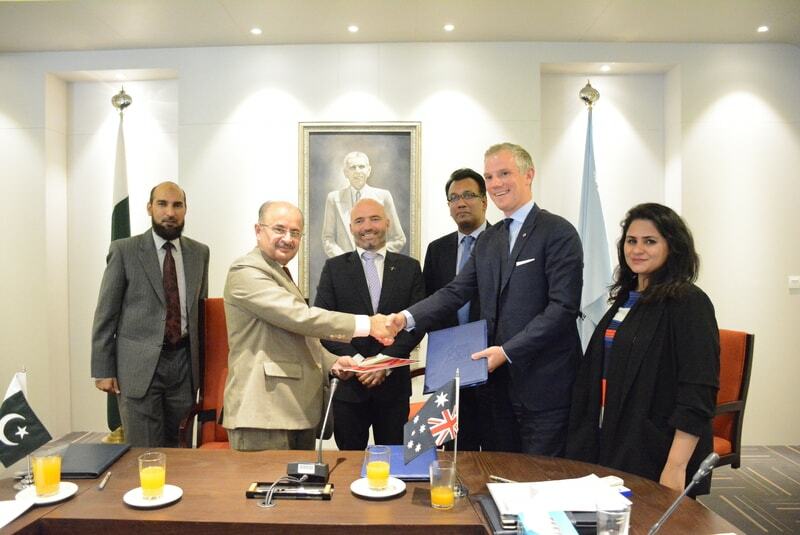 The signing ceremony was also attended by Mr Azhar Shah, Business Development Manager, Australian Trade and Investment Commission (Austrade), Pakistan, Ms. Rumla Tahir, Country Manager (Pakistan), Macquarie University, and senior management of Air University including Deans, Advisers, Directors and HoDs.